Shop around, and don't ignore smaller insurers you might not have heard as much about. Dozens of car insurance companies, including large players and regional insurers, are vying for your business. Many offer an eye-glazing assortment of policy options, making it hard to compare policies and figure out what’s the best and cheapest car insurance. Here are eight things you can do to ensure you get good coverage at the best possible rate. Some companies spend a lot of money on commercials that try to convince you they offer the lowest car insurance rates. But prices that different people pay for the same coverage by the same company can vary widely. No single insurer can claim to be the low-price leader for everyone. The insurance company that’s cheapest for one person in one place might be the most expensive option for a driver in another state. 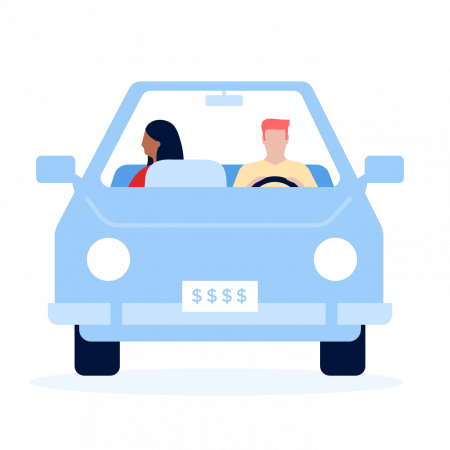 There are some savings at stake: A NerdWallet analysis found that good drivers could be missing out on $416 a year on average by not comparing insurance prices. Our study also found that 38% of Americans who have car insurance haven’t compared insurance costs in at least three years, if ever. Just four companies control nearly half the nation’s auto insurance business: Allstate, Geico, Progressive and State Farm. But smaller, regional insurers such as Auto-Owners Insurance and Erie Insurance often have higher customer satisfaction ratings than the big names — and they may have lower rates, too. Don’t be swayed, however, by a long list of possible discounts. Compare your final prices from multiple insurers. Your credit score is a significant factor in the car insurance quotes you receive — except in California, Hawaii and Massachusetts, which don’t allow insurers to consider credit when setting rates. Insurance companies say customers’ credit has been shown to correlate with their chances of filing claims. A NerdWallet analysis found that having poor credit can boost people’s car insurance rates by hundreds of dollars a year compared with having good credit. Improve your credit — and get cheaper insurance — by paying your bills on time and reducing your debt. Track your progress by checking your credit score regularly. You probably already pay attention to factors such as fuel efficiency and repair costs when picking a car to buy, but you should also consider insurance premiums. A NerdWallet analysis of the cheapest cars to insure among top-selling vehicles found the lowest rates are for the Honda CR-V, Subaru Outback and Jeep Cherokee. Collision coverage pays to repair the damage your vehicle after an accident with another car or an object such as a fence. Comprehensive coverage pays to repair vehicle damage from weather, animal crashes, floods, fire and vandalism. It also covers car theft. But the maximum payout under either policy is limited by the value of the car if it’s totaled or stolen. If your car is older and has a low market value, it may not make sense to shell out for these types of coverage. If you’re a safe driver who doesn’t log many miles, consider a usage-based insurance program such as Allstate’s Drivewise, Progressive’s Snapshot or State Farm’s Drive Safe & Save. By signing up for these programs, you let your insurer track your driving in exchange for possible discounts based on how much you drive, when you drive and how well you drive. If you drive less than 10,000 miles a year, you might be able to save money with a mileage-based insurance program such as Metromile or Esurance Pay Per Mile. Metromile is available in seven states; Esurance Pay Per Mile is available in Oregon.